First problem was a couple mushroomed valve stems. The first valve I just pulled like hell to get it out and realized it scratched the guide on its way out. Anybody know how much a that mistake just cost me, or if it even needs to be fixed? The second mushroomed valve I filed down, so I'm hoping to be able to pull a couple valves out of the set of heads on the car right now and use them instead. 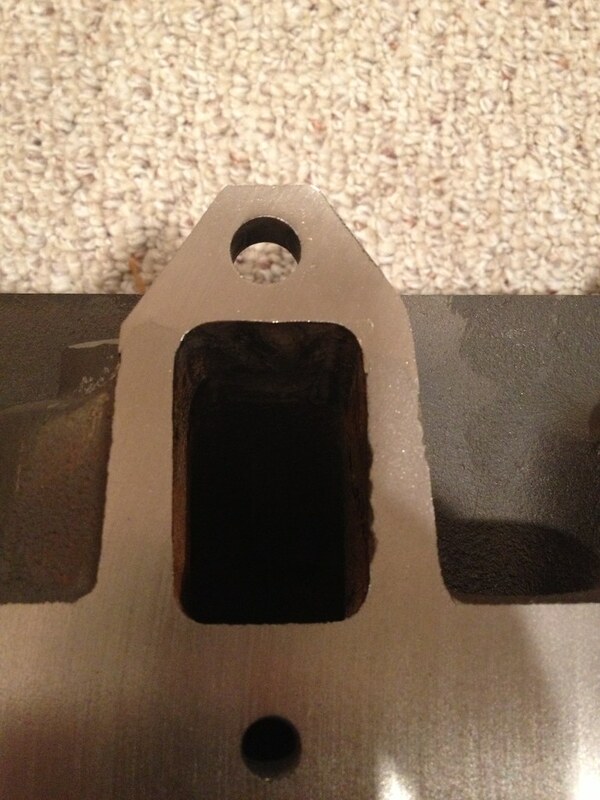 Second problem is one of the heads is cracked right above one of the exhaust manifold stud holes. I'm guessing it can be welded, but again, is it gonna be expensive? These are spare heads that I was planning to swap into my car, so if this is going to be something I need a second mortgage for, I might as well just scrap em. Took pics on my phone but the scratches or the crack didn't turn out. Re: Tips for sending heads to the machine shop? First of all, don't scrap'm, even if you use the other spare set of heads. Before you disassemble the valves visually inspect the tolerances between the valve stems and the valve guides by wiggling them sideways in various positions. There is a specific amount of tolerance that I don't have o top of my head for this motor. Also visually inspect the seats and the valves if they show severe signs of recession or if they look burnt. Store the parts in an order that resembles their position if you should decide to reuse them. That goes for everything like the valves, springs etc. use a stone to take off the mushroom at the valve tips. my best bet for your situation is to take them to a trusted machine shop and let them take a look at it. they will have the expertise and the tools to take measurements and hopefully honestly tell you what can be done and what might not be absolutely necessary to do. However this is not exactly how I would do it, because regardless of the inspection results, I personally would almost always decide to do a complete overhaul. You know the "Do it once, do it right" thing. The scar in the valve guide that happened to you is hard to tell from not seing it, but it isn't a good idea to leave it alone. A competent machine shop has the tooling for honing the valve guides. That's an industry std. when installing or repairuing new guises. thing is that the guide should have its' diameter within the specified tolerances. Every machine shop has all the specs ithin a book (AERA). I have one too. Quite prizy for the non pro and probably available via an online data bank I guess. Anyway nothing you should worry about. That's the machine shop's job, no prob. New stck. Valve springs, valve locks and new stock valves. The crack is hard to tell from a remote. If it doesn't go through a water jacket and if there is at least an other hole for that cylinder it might be OK to leave it as is and not to worry. Welding cast iron is a mess that not every shop can do as they need special tooling. But you can ask. Shouldn't be that much in prize. As for the ex manifold surfaces an other thought migh be of interest for you: In the FE engine world it is pretty common to not use a gasket at all. Just straight and fresh surfaces. Nothing to blow and works fine. Keep us lurking your project. Okay, I finally was able to get to my shop and get some better pictures of the heads. Going to try to take the heads to a machine shop tomorrow. I decided to get a new set of springs and valves. I brought along couple examples that weren't bent or mushroomed. I'm hoping they'll be able to find a set that matches. The crack shouldn't be a big issiue. If space allows you might try to support the bolt w. a nut from the backside of the ex. surface. I'm very impressed with how they turned out. He fluxed the heads and found one of the cracks went through to the exhaust port and fixed that up as well. 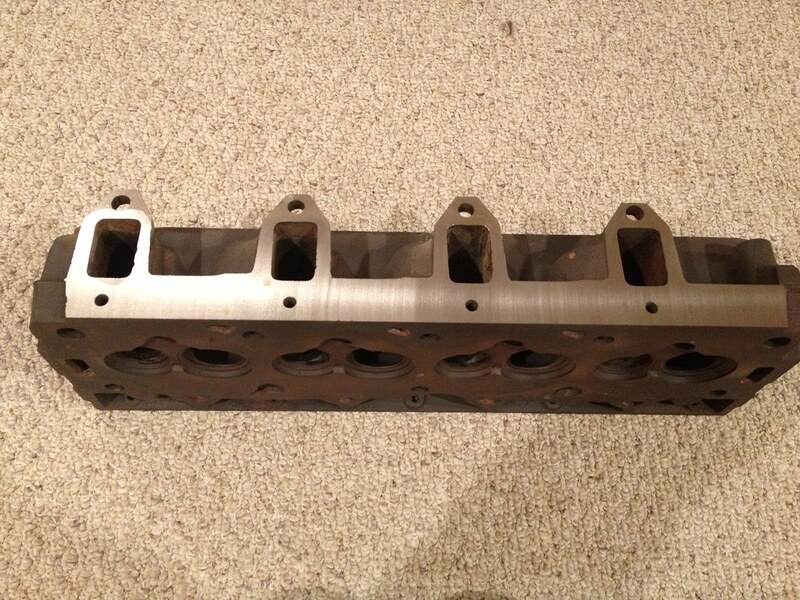 After welding, he milled the exhaust manifold surfaces on both heads and sandblasted them. He recommended that I take the heads to my regular machine shop now for the valve guides and seats (he said he could do it, but the other shop would probably be cheaper). Anyways, here's their site if you're interested. Looks good. 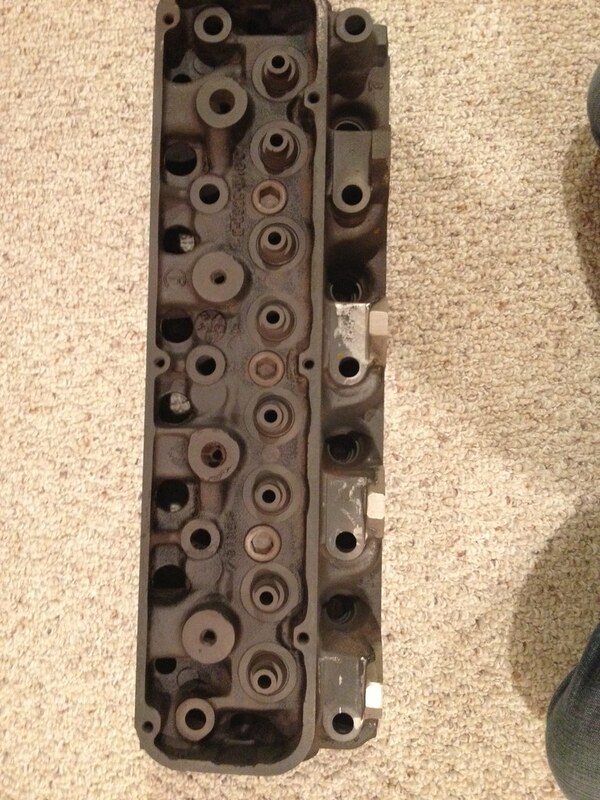 Cylinder head work especially on the valve train is critical. Make sure the other place is competent enough to do the job. Sunnen or Serdi Equipment is state of the art but the operators should know. Good luck and thanks for posting. Let's see what comes up next.